Warm Springs Tribal Council will be in session today. On the agenda this morning is the Cannabis Tax Rebate Agreement, The Tribes’ Safety Corridor Agreement with ODOT and Hemp Code Revisions. This afternoon’s agenda has Proposed TERO Ordinance Amendments, Board and Committee Appointments and an update from Ventures about Unmanned Aircraft System. Warm Springs fitness activities today are: Functional Fitness Class at 12:10 in the Community Center social hall; Volleyball at noon in the gym; Insanity class at 12:10 in the aerobics room and men’s open gym tonight from 6:30-8:50. Today’s Senior Lunch at noon is roast beef, baked red potatoes, honey roasted carrots and canned fruit. Seniors 60 and older eat for free, 59 and under are $5 and youth under 13 are $3 at the Senior Wellness Center. Wellness of Warm Springs is having a winter soup kitchen today at noon at the Family Resource Center conference room. Everyone is welcome. There is a Men’s Beading Group at 1:00 at the Behavioral Health Center. There is a Pathways Home Native Home Ownership class this evening from 5:30-7:30 at the Credit Building. They will cover Module #3 – Budgeting for Home Ownership and Calculating Affordability. Madras Freshman, JV & Varsity girls basketball play at Gladstone High School today; Boys JV & Varsity have home games vs. Gladstone at 5:30 and 7:00. Listen to a broadcast of the boys varsity game on KWSO. The Elder’s Council Agency District Candidate’s Night for today has been cancelled. There is a General Council Meeting this evening to discuss the 1980 Baseline Census Referendum. It will be held at the Agency Longhouse. Dinner is at 6:00 and the meeting at 7. There is Community Acupuncture tomorrow morning the Community Aerobics Room. Stop by anytime between 8 and 11:30am. The Heart Health Walk tomorrow has been postponed until February 22nd. A public meeting for Jefferson County School District 509J to discuss the evaluation of current programs and plans for future educational programs, will be held at 5:30pm tomorrow at the Warm Springs K-8 Academy Cafeteria. This is the District’s annual meeting specifically for Native American parents and guardians to give them the opportunity to offer comments, make recommendations and offer feedback for District programs and outcomes. 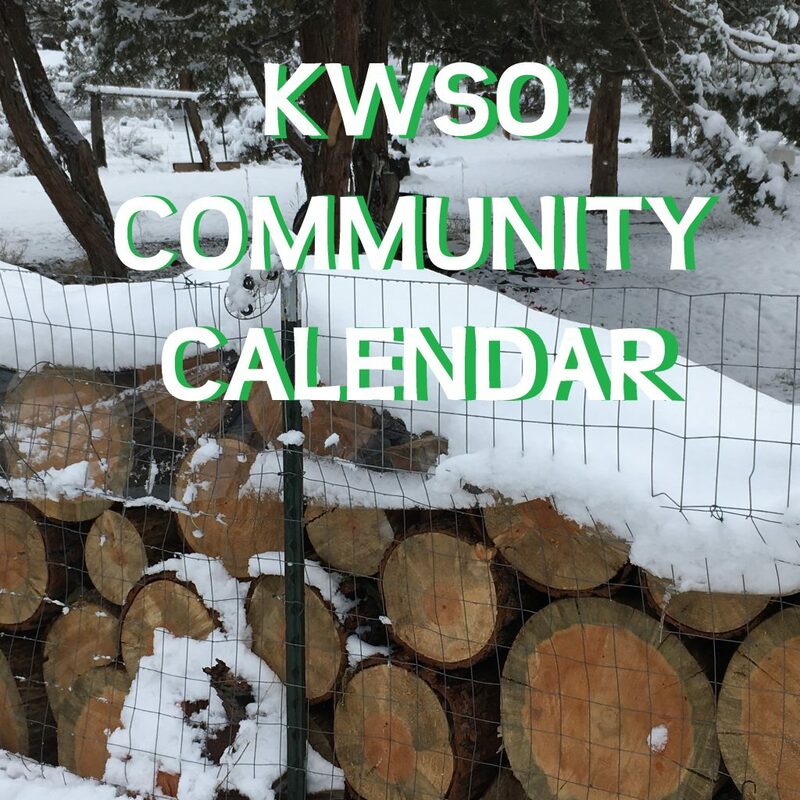 Candidates for Warm Springs Tribal Council who have not yet done so, are asked to schedule a time to come in for a quick interview for KWSO’s Candidates Programs that will begin airing in March. Call 541-553-1968 or email kwso@wstribes.org to set up a time. Tananawit – A Community of Warm Springs Artists are having a fundraising can drive until March 15th. Any donations can be brought the Community Action Team office on campus. The Madras VFW Post 12141 and its Auxiliary invites all people, veterans and non-veterans, to a free “Welcome Home Veterans” spaghetti dinner and events on March 30 from 4-8pm at the Erickson Aircraft Collection in Madras. There will be dinner from 5-6:30 and entertainment, raffles, auctions, kid friendly games and patriotic merchandise for sale. Donations are appreciated.